Family: mom Megan, dad Roger, and brother Clayton. Rodeo events: Barrel racing, pole bending, goat tying, breakaway roping. What is your future in the sport of rodeo? Where would you like to see it go? : I would like to carry out my rodeo career for a long time. I will probably compete in the National Little Britches Rodeo association until I graduate high school as well as continuing to compete in the Colorado High School Rodeo Association. Once I end my high school rodeo carrier I hope to be a part of a college rodeo team. What is your ultimate goal as you continue competing in rodeos? : Well of course, like any kid's dream, my plan is to one day compete in the NFR. As for now, I would be more than happy to qualify for High School Rodeo Nationals as well as National Little Britches finals in the next few years. Favorite aspect of rodeo: My favorite aspect of rodeo would have to be meeting so many new people and going to new places. Also, being able to spend time with close friends and family. Best rodeo memory: My best rodeo memory would be at Little Britches finals this year. I came back after a not-so-good first round and won the second round and the short round as well as the average, and I ended up taking home the NLBRA world champion barrel racing title. 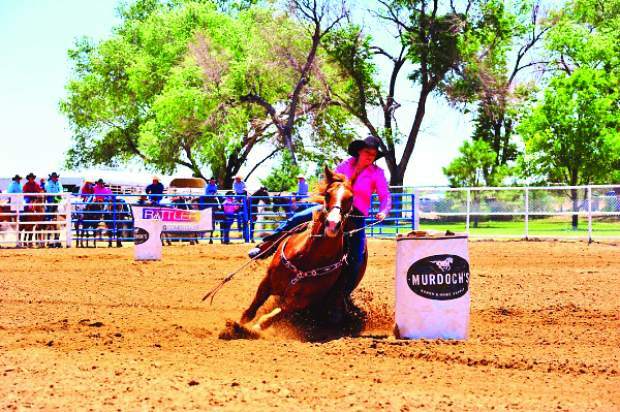 Tell us about your horse(s): The horse I won Little Britches Finals on in the barrels is Bugs. He is my old man who never fails me. Mr. Reliable. He's 17 and I have been running him now for three years. He has led me to a lot of success. I have won state on him in the barrels all three of those years. He is amazing. I also have my goat horse lizzy, my pole horse Ellie, and my breakaway horse Doc, and I have another horse Hallie that I run barrels and poles on. Have you attended any rodeo schools? Yes, last spring I attended the Troy Pruitt Roping school. It helped me so much with my breakaway roping! Role models/mentors? Mine would have to be my parents. I look up to them so much and they help me out more than anyone with everything. What do you do when you're not competing? When I'm not competing I'm usually practicing. When I'm not doing anything with my horses I like to hang out with my friends and be with family. I played volleyball and basketball for a few years, but couldn't seem to find enough time to rodeo as well.